As I looked at my family sitting in the church sanctuary, I knew apologies were in order. It had been a rough Sunday morning. A number of meltdowns had gotten the best of us and I had been impatient and unkind. As I thought back over the two hours before we were sitting there I was saddened by my behavior. Its amazing how a Sunday morning can lower a mom’s tolerance levels. You don’t need give everyone your life story when they ask how you are! Don’t holler out your sister’s latest transgression, either. You have the right to remain silent about that! Act like we like each other! Then somehow at the doors of the church we transform into the sweet loving parent who says please and thank you, would seemingly never tell her child they “have the right to remain silent” about something, because now she cheerfully deems her child “sweetie”, as she herds everyone into the sanctuary. As we sat waiting for service to start, my brood behaving as ordered, I watched other parents with a string of littles in tow, and I saw unfold exactly what I had just done. Everything and everybody looked in order, ready for a great morning at church, yet if you looked at the parents, one or both still had a hint of a bugged out morning in their eyes. Its not the most pleasant adornment a parent can wear. And I know people saw it on me when I marched through the church doors. I also know they understand because they have experienced the same, but that’s beside the point. The point is, love is an action. How we love our children in words, actions, or attitudes, determines the ceiling of influence we have in their hearts. 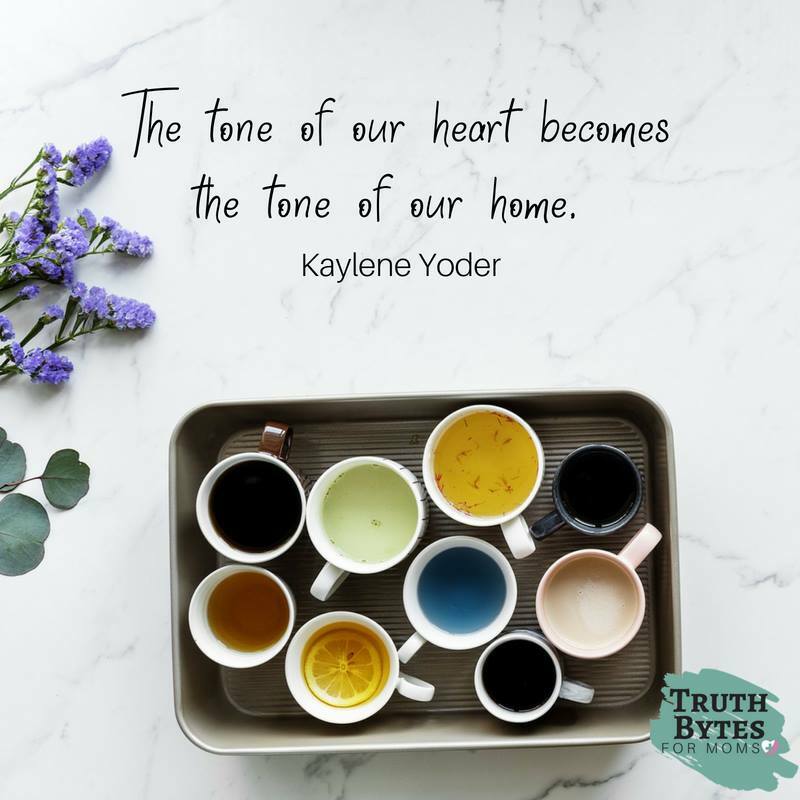 When we don’t act it out in the walls of our home, we can’t fake it out in public either. Kaylene’s book, 40 Scritpure-Based Prayers to Pray Over Your Children is a powerful tool in helping you shape a better mindset toward your parenting role. As I looked at my family, I knew apologies were in order. One by one, I whispered to them my regret for being such a bear. One by one, their eyes and faces revealed forgiveness and joy. Today let’s try to attack our mornings from a more prepared state of mind. On Sunday mornings, and all other mornings, let’s choose to love instead of stress. Choose to live instead of pretend. 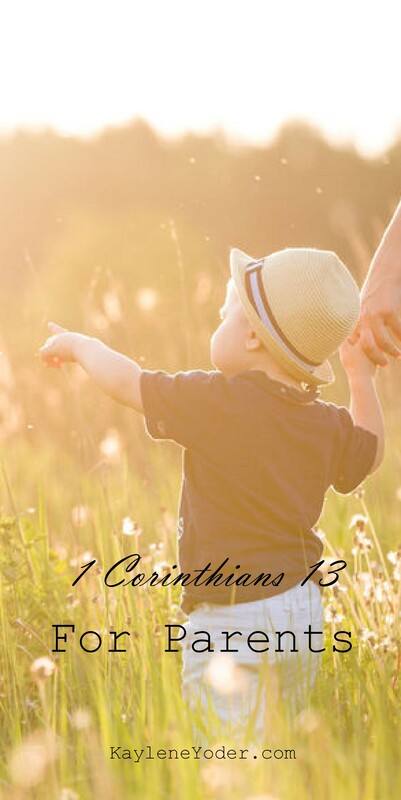 Take a few moments to download the following version of 1 Corinthians 13 for Parents by Jim Fowler. Tuck it in your Bible and review it occasionally. Success! Your printable is on its way to your inbox! Please check all other folders if you do not see it within five(5) minutes. 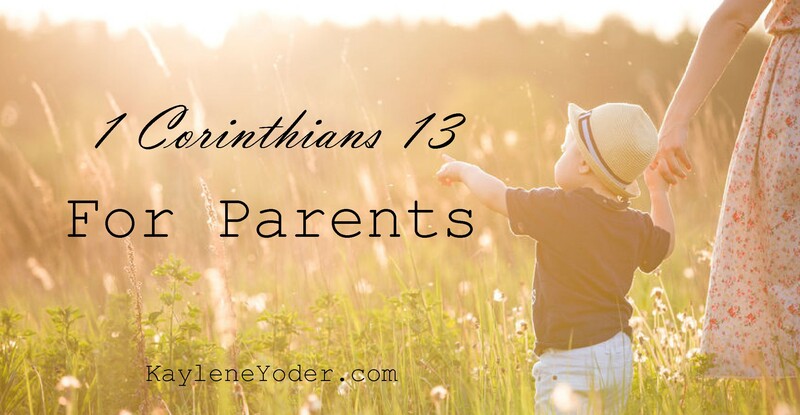 This entry was posted in Christian Living, Free Printable, Raising Boys, Raising Girls, Satisfaction Through Christ and tagged 1 Corinthians 13, christian mom, Christian parenting, Christian women, free printable, mom, motherhood, parent, parenting. think we all are like that more than less. I’m often short with my children and caught up in the frail state of childhood trivia. Many times once things are done and said I often wonder ,who the child is? Yet God so lovingly reminds me that he is the Father and I am His child who is still learning and stumbling just like my earthly children. When I feel like giving up, and I’ve been there ready to wash my hands clean, (as if I could), from motherhood. There’s that still sweet voice letting me know that He with me and for me. So I remain with and for my children also. Usually always it bring me to tears “how could I even go there”? Yet life and it trails have a way of bring us there. The key (Jesus the way), is not to remain locked into the thoughts and plans of the enemy but to renew our minds in the Word and trust always regardless in GOD! Thank you for the post it was exactly what I needed today. It allowed me to hear that still voice that speaks always to my heart so lovingly. My God, My God I give it all to you!! !